Nick Bova of Anchor Golf Center took a different approach than most PGA Professionals heading into the New Jersey PGA’s second major of the season. Instead of playing a practice round at Rumson Country Club, the 33-year-old went into the week with little course knowledge. 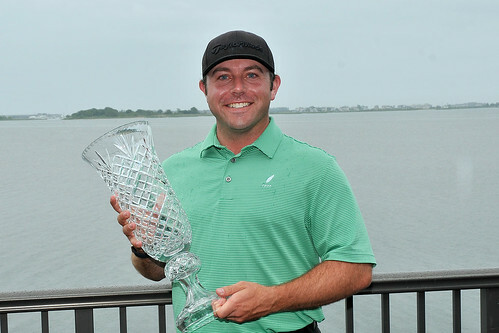 That strategy worked, as Bova shot a 70-68-67 205 (8-under) to win the Lincoln Charity Clambake presented by Titleist, FootJoy, Tito’s Handmade Vodka and Lawley Insurance by four strokes. Bova, who was a member of the Metropolitan Section prior to joining the New Jersey Section this year, said this is his third professional victory. In 2013, he won the 36-hole Metropolitan PGA Assistant Championship. Bova’s final score of 205 is the lowest total score by a Clambake winner since Frank Esposito shot a 68-64-73 in 2005. “This is probably close to the lowest I’ve ever been,” Bova said of his three-day performance. For majority of the round, Bova elected to use his three-iron off the tee, which put him out of trouble. He carded only one bogey in the final round. Early in the round, Bova was in a three-way tie with Trump National Golf Club Colts Neck’s Bill Britton and White Beeches Golf and Country Club’s Jim McGovern through six holes at 5-under. Britton had a hot start, making his 11th hole-in-one in his career on the par-3 third to quickly move up the leaderboard. But Bova strung together a pair of birdies on No. 9 and 10 to pull away from the field entering the final stretch. For the fourth straight year, Alex Beach of Baltusrol Golf Club finished inside the top-five, placing second at 4-under. 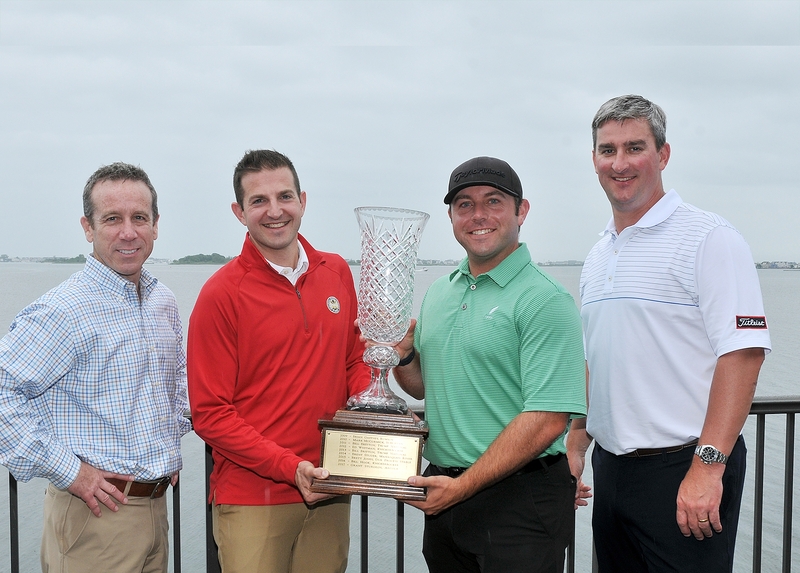 Beach won the gross division in a playoff with his partner, Jeff Werring, while Britton, who finished in a tie for fourth at even, won the net division with Rich Mulvey. McGovern, who entered the final round with a one-stroke lead, finished in third at 1-under.